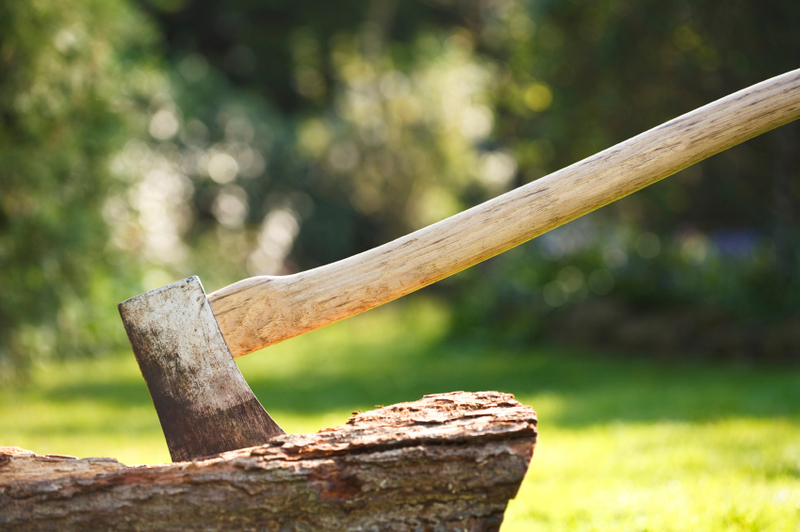 Arthur's Axe: a Lawyer's Tale | Pittsburgh Family Law Services, P.C. August 29, 2011 · by Pittsburgh Family Law Services, P.C. Surprised, Lancelot stood and faced his king with injured pride. “You would use us as axemen? This tree is no enemy of yours, worthy to fall before a knight. Yet since you command it, this meanest task becomes a knightly deed. I will chop your wood.” He strode forward, seized the axe, and with one powerful motion threw a blow so mighty that ten trees might have fallen before it. Sir Bedivere stepped forward and bowed. “My king, I will. If I succeed I earn your favor, and if I fail I stand with Lancelot.” He glared at his companions. “I see no shame in either.” He, too, picked up the axe and swung it in a deadly arc, but yet made no mark upon the tree. This time, there was no laughter. This was serious business now — knight’s business — and a grim quiet fell, punctuated only by battle cries followed by groans of failure. One by one each knight hefted the axe and swung, and one by one each knight stepped back with a grimace of defeat and a curse for a bespelled tree. From behind the knights came a hesitant voice. “If I am not being too bold, Your Majesty, may I serve you as you require?” The king nodded, and a squire bearing a pack on his shoulders stepped forward and knelt. “May it please you, my king, I gather wood often for my knight’s fire while he rests from the field or from the hunt. I have no strength so great as he, and the sound of chopping disturbs his sleep, so I use this, instead.” The squire drew a saw from his pack, and at another nod from the king he began cutting at the tree. The knights were astonished to see sawdust begin to fall, and it was not much more than a minute before the tree came down with a crash and a rustling of leaves. “What is your name, squire?” asked King Arthur. “William of Riverbend, Majesty, but I am called Wat. I am squire to Sir Dinadan,” he said. That knight seemed less than pleased by the moment’s attention. From that day forward and for many years thereafter, King Arthur would often listen to the wise counsel of Sir William Oaksbane of Riverbend, who knew that there are times when the direct approach of an axe is best to solve a problem, but also that sometimes one must imitate the saw and come at the problem sideways. If you need legal assistance with your divorce or family law matter in Southwestern Pennsylvania, call my office to set up a personal consultation with an Allegheny County divorce lawyer. Please do not comment anonymously, and do not post anything that you consider confidential. We try to be responsive to commentary and questions, but know that posting here will not create an attorney/client relationship and that we will not offer legal advice via the Internet.